1.2] Whether you book alone or as a group, we will only deal with the lead booking name in all subsequent correspondence, including changes, amendments and cancellations. The lead booking name must be 18 years old at the time of booking and possess the legal capacity and authority to book as the lead name. 1.3] We reserve the right to carry out credit checks or identity verification procedures if we think it necessary to do so to comply with anti money laundering regulations before we enter into a contract with you. 1.4] These terms and the booking form (online, printed or emailed copy) are considered by us to set out the whole agreement between you and us for the provision of the services specified at 3 ‘(What’s Included in your holiday booking’). Please check that the details in the booking form are complete and accurate before you commit yourself to the contract. If you think that there is a mistake, please make sure that you ask us to confirm any changes in writing. Please ensure that you read and understand these terms before you sign. 1.5] We have the right to revise and amend these Terms from time to time. You will be subject to the policies and terms in force at the time that you make a booking with us, unless any change to those policies or these Terms is required by law or government or regulatory authority in which case it will apply to orders you have previously placed that we have not yet fulfilled. 1.6] Any drawings, pictures, descriptions or advertising we issue or contained in brochures or websites are published solely to provide you with an approximate idea of the holiday they describe. They do not form part of the contract between you and us. 2.1] Bookings should be made using our online system on our website. If for any reason you are unable to use the online booking system, please contact us at info@websitehome.co.uk or telephone us on 01570 470672 and we will send you a copy of the booking form to the contact details specified by you. 2.2] We shall confirm your reservation upon receipt of a deposit (usually 25%). Full payment must be made six weeks before the start date of your holiday. Non payment of your balance monies, when they become due will constitute cancellation of the holiday and forfeiture of the deposit payment. We are under no obligation to remind you that payment is due. We will attempt to contact you by email only and accept no liability in the event that the email address listed for you does not deliver a message to you. Please note that the balance of your holiday must be paid in full if booking 6 weeks or less before the holiday start date. 2.4.1] We issue you with written confirmation of your booking which we will issue to you following our receipt of your deposit/ first payment. 2.5] Any quotations given by us are given on the basis that a binding contract shall only come into existence with us in accordance with 2.3 above. Quotations shall be valid for a period of 7 days unless we notify you. 3] What is included in your holiday accommodation booking? 3.1] Your holiday property will be available from 3pm on the date of arrival and you must vacate by 10am on the day of departure. We reserve the right to charge you a daily rate if your departure is delayed without our prior agreement. 3.2] Bed linen and one bath towel per person are included in your booking and if your stay is for longer than 7 nights your linen will be changed after 1 week. 4] What is not included in your holiday accommodation booking? 4.1] We are sorry but no smoking is allowed in any of the properties. 4.2] Pets are permitted up to a limit of 2 dogs in each of our four cottages. We don’t allow dogs in Aerona and we allow 1 in Saffir, if you wish to bring a pet please get in touch with us first to discuss the suitability as both these cabins are in fields with livestock grazing. There is an additional charge of £20.00 for the first animal, and a total of £30.00 for two animals. You must notify us at the time of booking (where possible) or at least 7 days prior to your arrival if you intend to bring any pets with you. 4.3] You should be aware that we do not offer insurance as part of our holidays. It is your responsibility to arrange appropriate insurance to ensure you are covered for all eventualities in connection with your holiday. We strongly recommend that you obtain relevant insurance for peace of mind during your stay. 5.1] Bookings should be made using our online system on our website. If for any reason you are unable to use the online booking system, please contact us at info@websitehome.co.uk or telephone us on 01570 470672 and we will send you a copy of the booking form to the contact details specified by you. 5.2] We shall confirm your reservation upon receipt of full payment which must be made at the time of booking. 5.4.1] We issue you with written confirmation of your booking which we will issue to you following our receipt of your deposit/ first payment. 5.5] Any quotations given by us are given on the basis that a binding contract shall only come into existence with us in accordance with 5.3 above. Quotations shall be valid for a period of 7 days unless we notify you. 6.1] Prices are inclusive of VAT (Value Added Tax) and will cover the cost of the items detailed at clause 3 above. 7.1.1] Should you need to change any details of your booking we will be happy to try and accommodate your requested changes upon receipt of any increased charges incurred as a result of the amendment. Please give us written notice of any requested amendments 8 weeks before your holiday is due to start. 7.1.2] If we are unable to accommodate any of your desired amendments and you subsequently cancel your holiday, the cancellation fees outlined at section 7.2 below will apply. • If you cancel your holiday within 48 hours cooling off period after receiving acknowledgement of booking we will refund in full the amount you have paid for the holiday. • If you cancel your holiday accommodation at least 8 weeks prior to the start of your holiday we will retain your deposit (25%) but will refund the remaining balance upon request. • If you cancel your holiday accommodation less than 8 weeks before arrival date the full balance paid is non refundable and non transferable.We strongly recommend that guests take out their own travel insurance to cover this eventuality. 7.2.2] If we are able to re-book the property with another party then we will refund you the full balance of your booking. If we are only able to re-book with another party at a lower price, we will refund you the balance of the reduced booking fee. 7.3.1] We aim to provide you with your holiday as booked, but we reserve the right to cancel your holiday booking or make reasonable amendments in any circumstances. 7.3.2.2] or offer you a full refund. 7.3.3.3] Cancel your holiday and receive a refund of all monies paid. 7.3.4] We will endeavour to provide you with as much notice as reasonably practical if we are required to cancel your booking but please be aware if cancellation is a result of an event falling in the section below “Important – Events outside our control”, then cancellation may be given in short notice. 6.3.5] Please note no additional compensation will be paid in the event that we have to cancel or amend your holiday booking. 8.1.1] Should you need to change any details of your booking we will be happy to try and accommodate your requested changes upon receipt of any increased charges incurred as a result of the amendment. Please give us written notice of any requested amendments two weeks prior to your camping pitch booking. 8.1.2] If we are unable to accommodate any of your desired amendments and you subsequently cancel your camping pitch, the cancellation fees outlined at section 8.2 below will apply. • If you cancel your camping pitch within 48 hours cooling off period after receiving acknowledgement of booking we will refund in full the amount you have paid for the holiday. • If you cancel your camping pitch at least 15 days prior to the start of your camping holiday we will retain 50% of your fee and will refund 50% of your booking value back to you upon request.• If you cancel your camping pitch less than 14 days before the arrival date the full balance paid is non refundable and non transferable.We strongly recommend that guests take out their own travel insurance to cover this eventuality. 8.2.2] If we are able to re-book the camping pitch with another party then we will refund you the full balance of your booking. If we are only able to re-book with another party at a lower price, we will refund you the balance of the reduced booking fee. 8.3.1] We aim to provide you with your camping pitch as booked, but we reserve the right to cancel your booking or make reasonable amendments in any circumstances. 8.3.2.2] or offer you a full refund. 8.3.3.3] Cancel your camping pitch and receive a refund of all monies paid. 8.3.4] We will endeavour to provide you with as much notice as reasonably practical if we are required to cancel your booking but please be aware if cancellation is a result of an event falling in the section below “Important – Events outside our control”, then cancellation may be given in short notice. 8.3.5] Please note no additional compensation will be paid in the event that we have to cancel or amend your camping pitch. 9.1.2] You will pay for any loss or damage you cause or permit to cause during your visit. 9.1.4] Look after the keys to the property. You will be charged for any replacement keys required. 9.2] We reserve the right to refuse to accept you as a customer, or continue dealing with you, or ask you to leave with immediate effect if your behaviour is disruptive or affects other holiday makers or is threatening or abusive towards our staff or agents. If we ask you to leave the property, we may, in our sole discretion, refund the pro-rata the total balance of your holiday for the original duration of your stay. 9.3] Throughout the duration of your stay with us, you will allow us, or our agents reasonable access to the property for all purposes. (d) complies with all applicable statutory and regulatory requirements for supplying the Services in the United Kingdom. 10.2] This warranty is in addition to any of your legal rights. Advice about your legal rights is available from your local Citizens’ Advice Bureau or Trading Standards office. 10.3] These terms apply to any replacement holiday properties we provide to you in the unlikely event that the original property you book does not conform with these terms. 10.4] You must provide us, in sufficient time, with any information and instructions relating to your holiday booking that is or are necessary to enable us to provide the property in accordance with these terms. If you do not, or you provide us with incomplete, incorrect or inaccurate information or instructions, we may cancel your booking by giving you written notice, or we may make an additional charge of a reasonable sum to cover any extra work that is required. 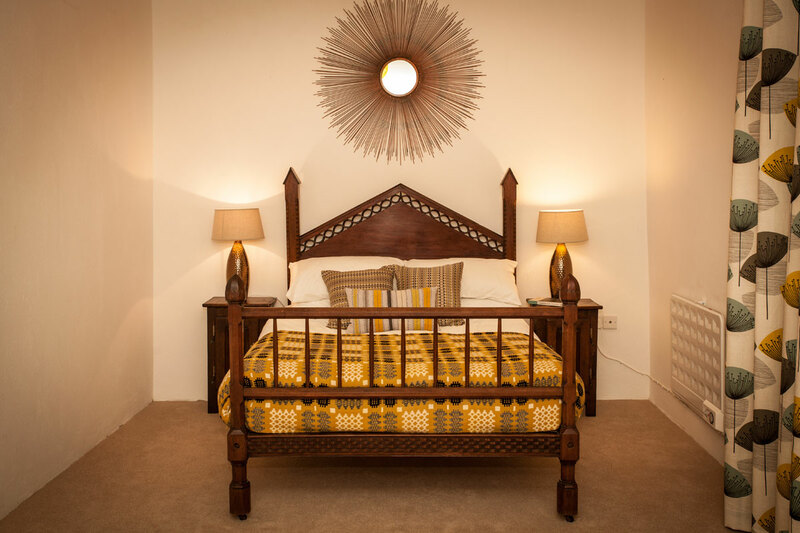 11.1] In the unlikely event that you are unhappy with any element of you stay at Treberfeddd Farm, please notify us immediately at info@websitehome.co.uk. We can usually resolve any complaints you may have but you must allow us to the opportunity to do so. 12.1 Subject to section 10.2, if either of us fails to comply with these terms, neither of us shall be responsible for any losses that the other suffers as a result, except for those losses which we or you could reasonably foresee would result from the failure to comply with these terms. However, this clause 10.2 shall not prevent claims for foreseeable loss of, or damage to, our physical property. 12.3.3 any other matter for which it would be illegal or unlawful for us to exclude or attempt to exclude our liability. 13.1 We will not be liable or responsible for any failure to perform, or delay in performance of, any of our obligations under these Terms that is caused by events outside our reasonable control (Force Majeure Event). 13.3.1.2 Offer you a full refund. 14.1 You understand that any personal data you supply to us will be processed by us in connection with supplying the services of this contract. 15.4 These terms shall be governed by English and Welsh law and we both agree to the non-exclusive jurisdiction of the English and Welsh courts.